September 30 – October 7, 2012. For centuries migration has been a fact in European societies: Time and again people have had to leave their home countries in search of food, work, security and a life free from danger and persecutions. Indeed, throughout the centuries, Europe has experienced wave after wave of migrations for economic, political, ethnic and religious reasons. Today, due to processes set in motion by postwar reconstruction of European economies, post-colonial develop-ments and globalisation, migration has taken on new forms. The Netherlands can serve as an important case study of how European societies have been dealing with the challenges of modern migration. Migrants and the ‘ New We’ . In her opening lecture EPIL Board member, Prof. Dr. Manuela Kalsky, director of the Dominican Studycentre and founder of the online web project, ‘The New We’, said that if we are to find new ways of living together, religious organisations must look beyond traditional confines: “If you want to keep tradition alive you have to be open to renewal”. Dr. Kalsky pointed out that there has been a shift in migration policies: The government of the Netherlands is now emphasizing “Dutchness”, insisting that immigrants must subscribe to the unity of language and culture. The intention is now “restoration”, not “renewal”. Dr Kalsky argued that a ‘New We’ ,however, cannot be conceived as “unity”, but has to be thought of in terms of radical difference and diversity. 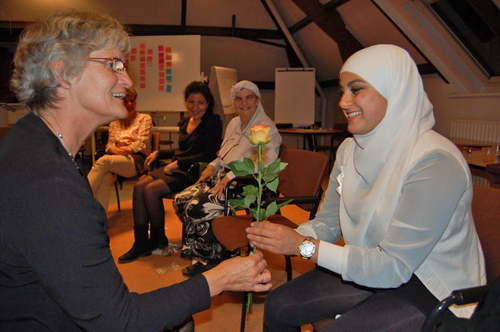 A public event at the centre ‘De Nieuwe Liefde’ in Amsterdam brought together Andree van Es, member of the City Council of Amsterdam, Klaas van der Kamp, chairman of the Council of Churches in the Netherlands and Kursat Bal, representative of the CMO ( the contact organisation for Muslims and the government). 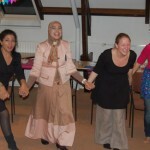 Moderated by former Green Party parlamentarian Naima Azough, the panel discussed integration and the position of migrants in Dutch society, the possible contribution of religion, and the importance of commonly shared values: Secular people too have an interest in peaceful living together in a spirit of democracy and civility.Christian and Muslim women members of the Cologne Council of Faith organized a visit to Cologne, Germany. They spoke of their experience of using interreligious dialogue as a means of standing together against Islamophobia and neo-nazism. 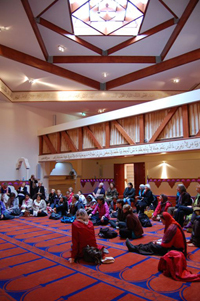 The group visited a backyard mosque on Keuppstrasse, where the Imam spoke of the role of the mosque in the neighbourhood. The EPIL group then heard a lecture at the Domforum on the history of women migrants to Cologne and attended a reception at Melanchton Academy. 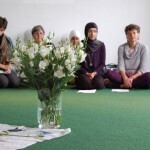 The short visit exposed the EPIL women to the rich culture of interreligious cooperation in Cologne. 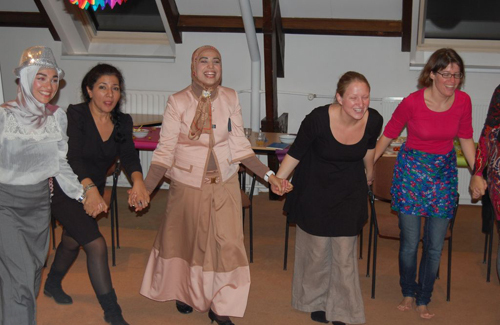 The Dutch module paid special attention to EPIL’s pedagogy, which is a careful mix between lectures, small group sessions, encounter with good practice examples and spiritual hospitality. Daily interreligious morning meditations, and the study of important texts of the two traditions take students step by step into different ways of thinking and expressing religious concepts, to change perspective and to be precise, respectful and careful with what is dear to the other. In the Dutch module, some new elements of dialogue were introduced, such as working with and through body language. Sharing gestures and postures of prayer with one another was a very moving experience. It became clear that one of the most important tasks of dialogue is to create an atmosphere of trust, where new forms of coexistence and cooperation can be developed. It was a special experience for the Dutch team to host the fourth EPIL module: “Through the eyes of the other we learned more about ourselves. 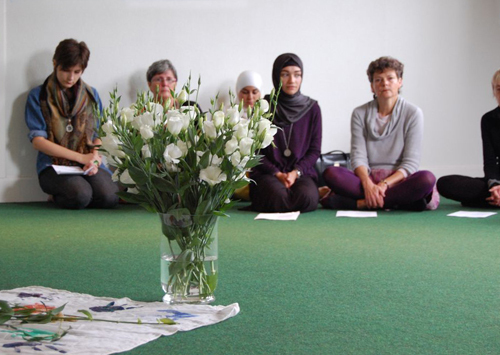 We noticed how religion in the Netherlands has to (re)define itself amidst a secular majority. The loss of traditional communities and ties challenges us to find new ways of identifying ourselves and to connect to each other. These new connections can only be found when at the same time we remain respectful to the unique otherness of the other. 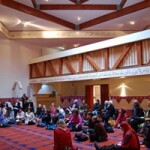 EPIL seeks to contribute to the act of living together in peace and joy. In the Dutch module we saw and learned that the ‘new we’ can emerge by a respectful dialogue, of which radical respect for diversity is one of the key aspects”.